LOCATION LOCATION LOCATION!! Enjoy the stylish and modern vibe of this fully renovated home located in Uptown, on NW 23rd St. 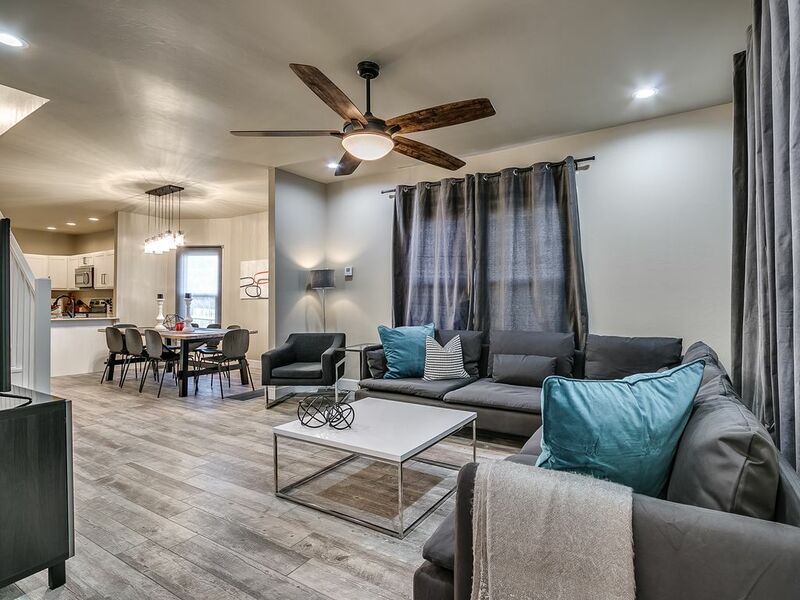 This property is within a few minutes of Downtown OKC, Bricktown, The Plaza District, The Paseo Art District, State Capitol, State Fair Grounds, and many other OKC attractions . Walk over to one of the many trendy shops, restaurants, or bars located on 23rd St., or take a quick drive down the street to the popular Western Avenue District. 1800 sq ft, 4 bedrooms, 2.5 baths, and an open concept with the living area flowing into the dining room and kitchen. Large kitchen is fully stocked, laundry room with amenities, private backyard, and much more. Bookings of 3 nights or less are at property owners' discretion. Large dining room table seats 8. Great stay and incredible experience! This is a great property close to the Bricktown area! Perfect size and location for my family! The house was very clean and well equipped. I would definitely recommend this to anyone needing more space than a hotel room provides. "Home Sweet Home Away From Home"
This property was lovely. It seemed newly remodeled, very clean and comfortable. The hostess was wonderful and communicated with us in a very timely manner. Our group of 8 adults enjoyed our time together with plenty of room to gather at the table or in the living area. The kitchen was open and well stocked with dishes, etc. The home is located in an area that offers easy access to the downtown and other places of interest. There was much in walking distance including a great breakfast spot, Syrup. I would highly recommend this home and hostess for your stay in Oklahoma City. The house had everything we needed. It was so nice. Nice with plenty of space. Good neighborhood.